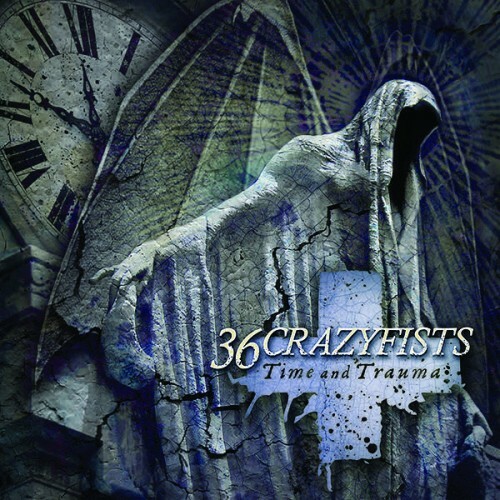 36 Crazyfists is back at the metal front. With a new record label backing them and a new line-up after their previous release they now release their 7th full length on the 17th of February. Time And Trauma is the first studio effort since joining Spinefarm Records and the first one with Kyle Baltus on drums and Mick Whitney after a couple of years of absence back on bass duties. What remained is the characteristic style of vocalist Brock Lindow and the catchy, but heavy riffs by Steve Holt. Personally the problem with this band is that I really love their 2002 release Bitterness The Stars and 2004’s A Snow Capped Romance. Every album afterwards offered some great tunes, but I still kept returning to those two. I really hope this Time And Trauma can convince me otherwise so I won’t be stuck in the past. When putting the record on it immediately had my full attention due to the paradox of starting rather familiar and different all in one. The vocals are undeniable those of Brock Lindow, the music sounds as 36CF typically sounds, but it is different at the same time. It sounds cliché, but it seemed the band matured and by tuning a bit down they display a heavier and somewhat darker sound than the punky approach with their older songs. Great way to open an album and to showcase you’re dynamic as a band. Totally when putting a catchy song as ‘Lightless’ on the 4th spot after 3 heavier and darker ones. First real highlight is when listening to the title track though. The song ‘Time And Trauma’ is one of those tracks where Lindow can use his whole range and where the instrumentation is inferior to his voice. This works out very great and he pushes this one to the next level. 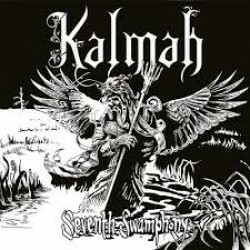 Towards the end of the album the songs turn more and more from face-ripping heaviness towards heavy on an emotional level. Closing with ‘Marrow’ they’ve picked a really moving song in which female vocals fit perfectly with Lindow’s voice. A song about the period after the passing of his mom and how he needed his wife at the same time. Very heavy, very intense. It really gives you goose bumps and leaves you even a bit flabbergasted during the silence that follows. All in all I must repeat that 36CF is back and they left a great impression with their new music. Skipping the older albums to put on this track on a regular basis? Maybe, time will tell, cause it grows on you more and more after every spin. And at least it won’t deliver me a trauma. Far from.